These plastic lighted decorations are popular sellers year-round, but we have definitely seen an upsurge in their sales in the past couple weeks. From religious to whimsical, we’ve seen and sold them all. 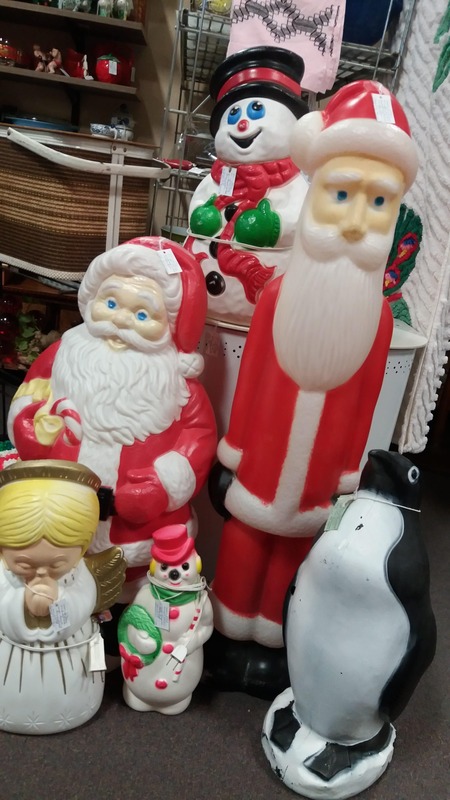 Some popular ones include nativity sets and Santa Claus. They come in a variety of sizes which are suitable for indoor or outdoor needs. If you watch The Great Christmas Light Fight, the winners on a recent episode from Ponca, Nebraska, used several in their display. Dealers will continue to bring in more blow molds as well as other holiday decorations all season long (and in some cases beyond).